The Luštica Peninsula forms one of the two outer arms that protect the Bay of Kotor (Boka Kotorska); it has a narrow neck where it joins the mainland with a large, pendulous tear-drop head. There is only one circular, single track road so it is quiet and isolated such that tourist developments are only just beginning to make their mark. 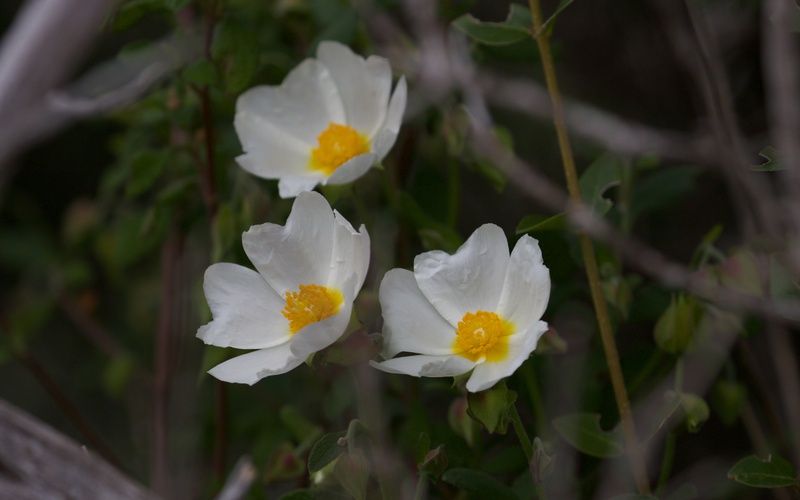 The relative wilderness compared to the rest of the famous Bay and the busy coast all the way south and east to Budva, Bar and Ulcinj make it a good place to study the maquis. 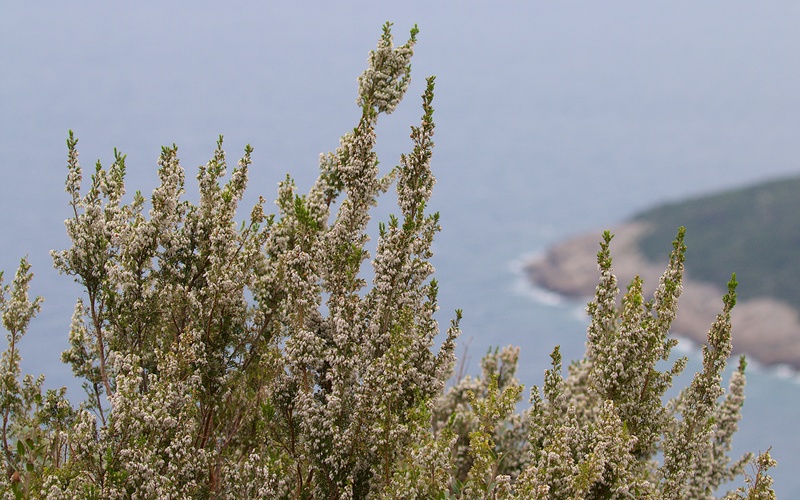 The maquis is a thick, blotched canvas of dark greens painted over the low coastal hills to form an impenetrable blanket across the rocky limestone. The only bare ground is the grey, sugar lump fringe next to the sea and the few tracks made to access old olive groves, military lookouts and fortifications. This is evergreen shrub woodland comprising a mixture of species: holm oak (Quercus ilex) and kermes oak (Quercus coccifera), buckthorn (Rhamnus alaternus), turpentine tree (Pistacia terebinthus), strawberry tree (Arbutus unedo), laurestine (Viburnum tinus), a juniper (Juniperus) and I think box (Buxus sempervirens); and interspersed with more colourful tree heath (Erica arborea) and tall, spiny broom (Calicotome spinosa). Some are not too difficult to tell apart after the initial shock of the new and I am slowly whittling them down. 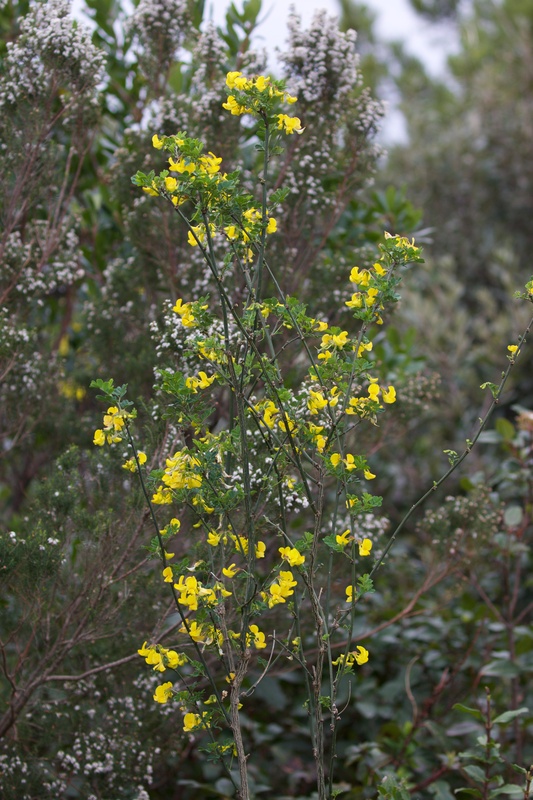 I still have to identify the buckthorn and there maybe Spanish broom (Spartium junceum) here as well. This is all tricky work for a struggling botanist. 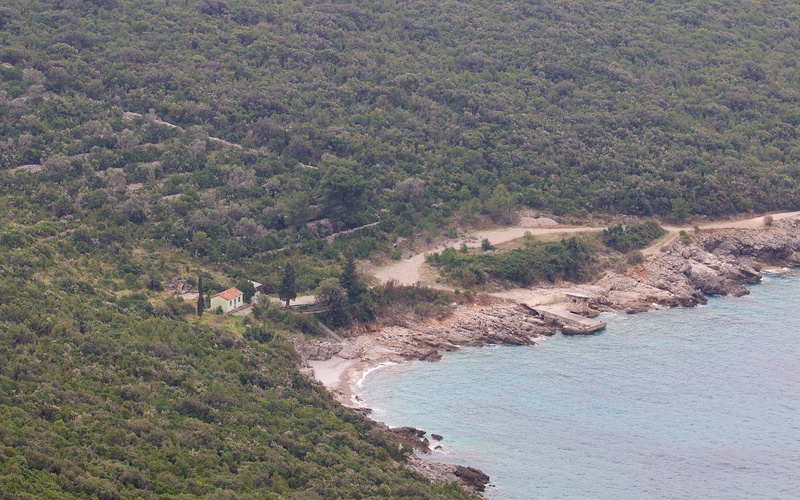 A typical section of the Luštica coast with maquis and overgrown olive grove above a deserted harbour. 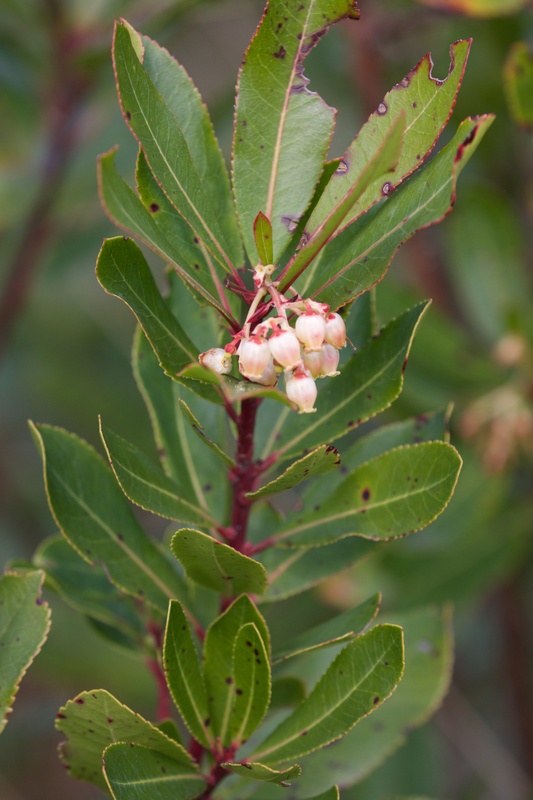 Strawberry tree is the most distinctive and has little clusters of white bells as flowers that turn into green then, later in the summer, red baubles. Kermes oak is like holly with spiky leaves. 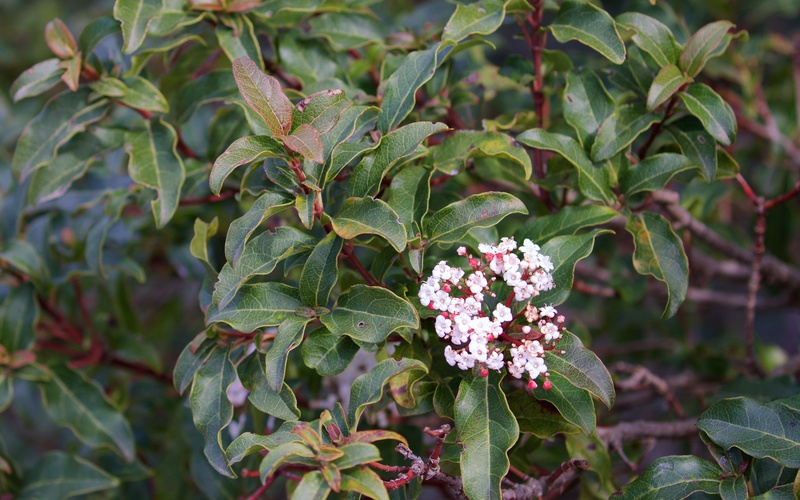 The Viburnum has distinctive clusters of white flowers. Tree heath and the broom genus (not the species) are unmistakable. Pistacia has distinctive compound leaves and are wonderfully, pistachio aromatic when crushed. 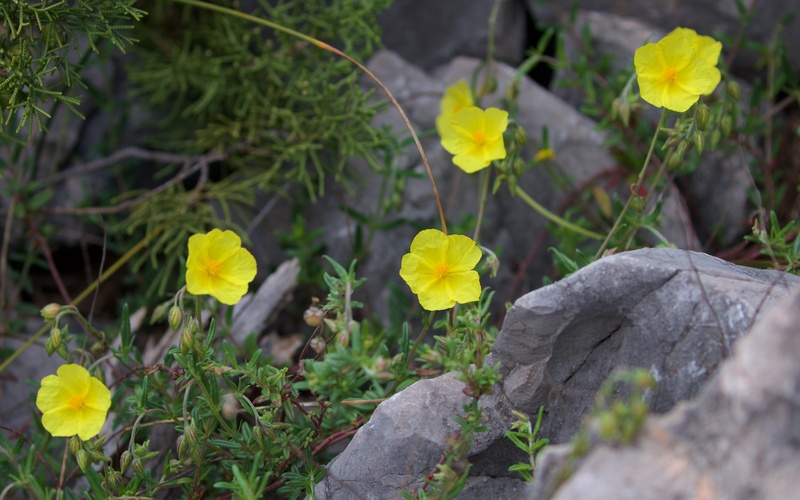 Thorny climbers, particularly the widely introduced Sarsparilla (Smilax aspera), an early cure for syphilis in Europe apparently, and the endless uneven limestone make the maquis very difficult to explore and traverse except via the existing trackways and paths. Wild boar (Sus scrofa) thrive here and hunting reserves are signed in places. Strawberry tree in flower and spiny broom. Laurestine and tree heath both in flower. 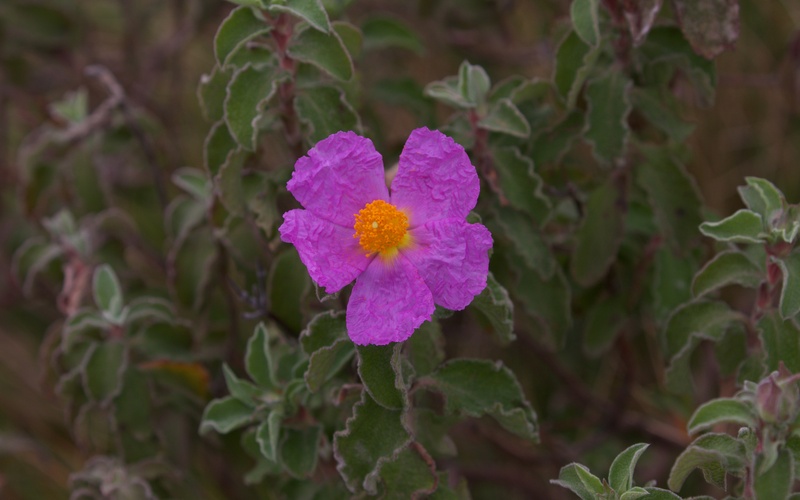 Even in March there are a few small shrubs that bring colour to the evergreen, especially the showy Cistus, both sage-leaved (Cistus salvifolius) and grey-leaved (Cistus albidus), the latter with its papery, pink petals as delicate as old skin; also a brilliant yellow Fumana species, another of the Cistaceae or rock-rose family. 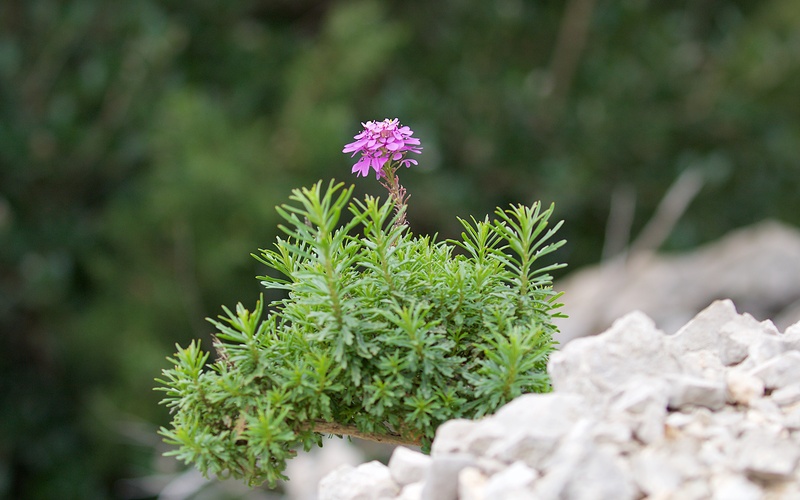 I found occasional rosemary (Rosmarinus officinalis) bushes; a violet pink candytuft (I think Iberis umbellata); an early honeysuckle (Lonicera sp.) 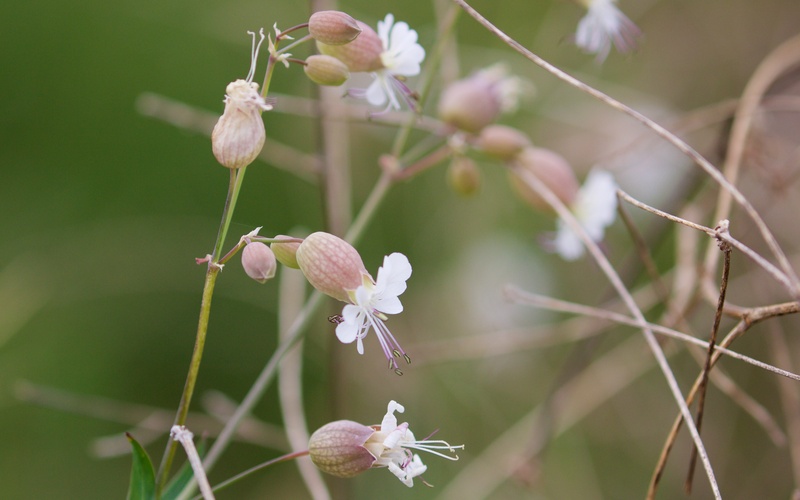 flower; a single stand of elegant bladder campion (Silene vulgaris) albeit with an inelegant name; unobtrusive stands of balm (Melissa officinalis) and widespread grape hyacinth (Muscari neglectum). A Fumana species and bladder campion. Butterflies are few at this time of year but Camberwell beauty (Nymphalis antiopa) is everywhere in the lowlands and easy to find on the tracks and at puddles when the sun does shine. 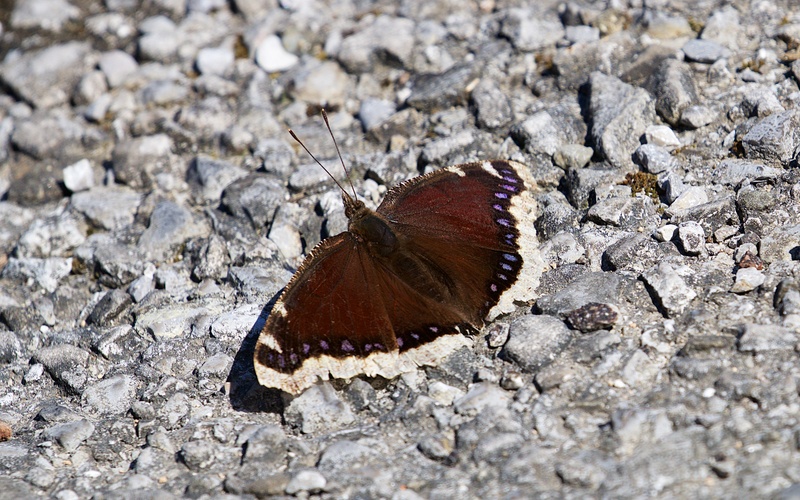 The wings are tatty and white-edged after a long winter in hibernation. Painted lady (Vanessa cardui), wall brown (Lasiommata megera) and holly blue (Celastrina argiolus) are also regular. The tree heath attracted pretty golden longhorn moths, possibly Adela reaumurella, and the broom, fat bristly hoverflies and bumble bees. Camberwell beauty soaking up the sun. Birds have been quiet too, perhaps because I always head to the coast on a grey day in the vain hope of the sun breaking through. I spotted a small brown warbler coming to a puddle to drink and waited for it to return; it did and I am none the wiser but most likely a scruffy and wet female blackcap (Sylvia atricapilla). Blackcaps remain the commonest species in the lowlands and tack-tack from every thorn and oak but I had heard little of them from the maquis. Then a large brown rat (Rattus norvegicus) scuttled straight across the road and I mused, because it was such an odd sighting, that a stoat (Mustela erminea) would be on its trail. I was wrong, a few minutes later a beautifully marked and mean-eyed, least weasel (Mustela nivalis) ran into the road, sniffed, checked back and forth then followed. I could hear leaves being scrunched as it cast about and in a few minutes it was back, then again and again but never with the fat rat. I waited an hour but no further action from either birds or mammals. The grey clouds shrouded dismal Lovćen, the weather turned to grey rain and so I scuttled home. 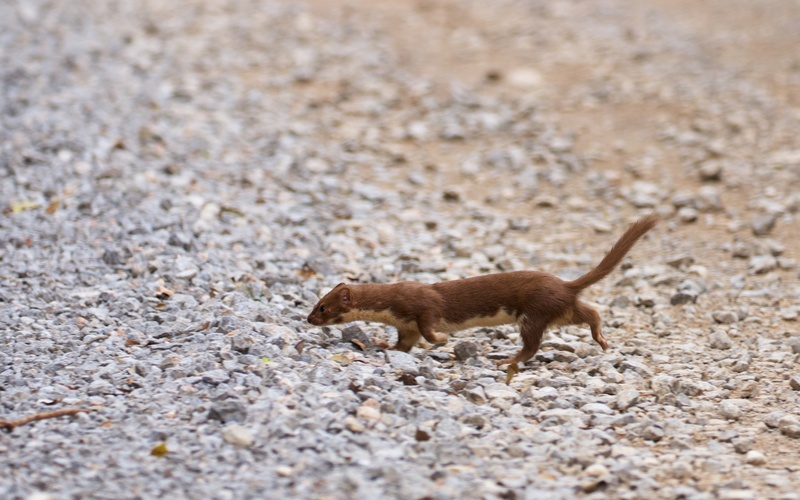 A least weasel on the trail of large brown rat.